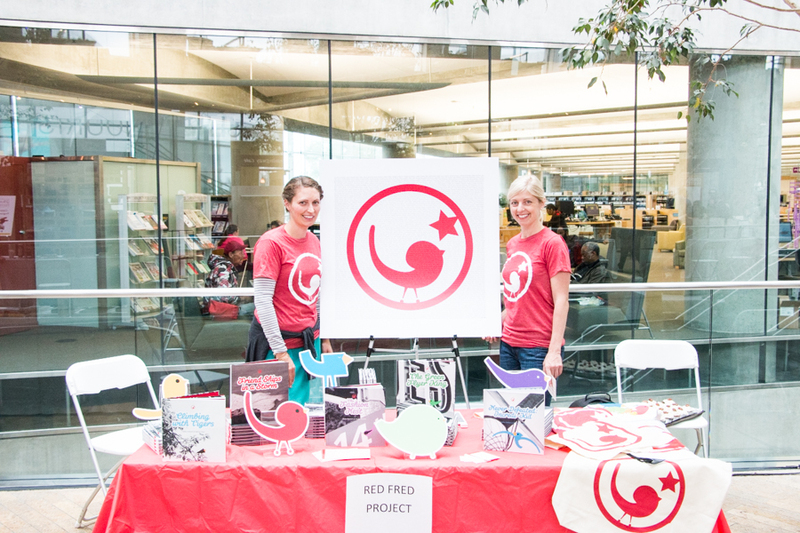 This past Saturday we participated in our first book festival! Being still fairly "new kids on the block" we were very excited to receive the invite from the Utah Center for the Book to join the book-loving audience in Utah, celebrating all things BOOK through the end of October. This past Saturday's event took place in the Urban Room of Salt Lake's City Library Branch—a fantastic and remarkable space for our community. We set up a table, draped it with red and then began stacking our current five titles. We were so impressed by our volunteers that came out and supported us on that drizzly, fall afternoon and we found the time racing by as we made new friends. We had a wonderful reception from those that hadn't heard of the project and we were able to raise more funds for our Creative's and their families. There were kind and happy tears from many of our guests as we shared WHAT it is we are discovering through these great kids and their families. We hope this is the first of many and we want to thank the Utah Humanities Council for including us in their wonderful event!